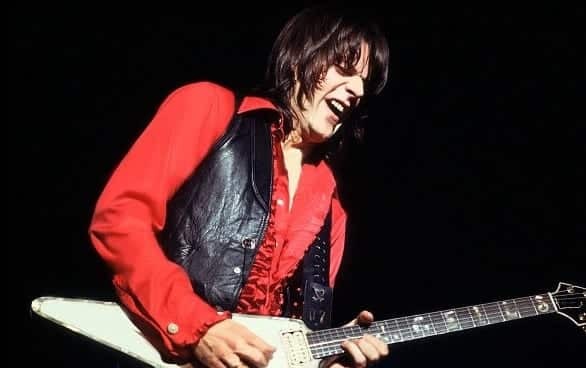 John Warrant Geils Jr., guitarist and namesake of the J. Geils Band, was found dead at his home in Groton, Massachusetts, on Tuesday afternoon. Police say he likely died of natural causes. The J. Geils Band formed in 1967, after bringing lead singer Peter Wolf into an earlier incarnation of the band, and released its first album in 1970. After heavy touring in the ’70s alongside bands like The Byrds and The Allman Brothers, the J. Geils Band scored a No. 1 record with 1981’s Freeze Frame, featuring the single “Centerfold,” which spent six weeks at No. 1 on the Billboard Hot 100. The band broke up in 1985 but reunited several times, notably for a 2010 concert in Fenway Park with fellow Boston band Aerosmith. When he wasn’t playing, Geils raced and restored old cars and motorcycles. This entry was posted on April 12th 2017 at 8:20am/08:20 and is filed under Entertainment, Live News Column 1. You can follow any responses to this entry through the RSS 2.0 feed.